Ha Van Tham asked the court to reconsider the embezzlement charges he has been convicted of. The former board chairman of scandal-hit OceanBank has appealed the life sentence handed down to him by a court late last month, saying he is innocent of embezzlement in a multi-million-dollar graft case that has riveted the nation. 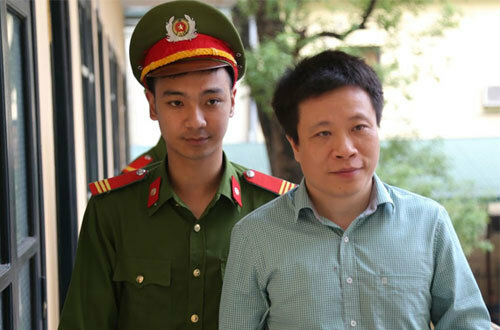 Hanoi People’s Court said it had received Ha Van Tham's appeal on Tuesday in which he asked the court to reconsider the embezzlement charges he has been convicted of. He also asked a higher court to commute his sentence even if it still insists on the charges. “Please give me a chance to return to my family and society,” he said in the appeal. The court said it has received appeals from 21 people convicted in the OceanBank trial, including Tham. A total of 51 people including bankers and businesspeople stood trial between August 28 and September 29 for causing losses of around $94 million at the bank between 2010 and 2014. According to the indictment, Tham had approved a VND500 billion ($23.5 million) loan for Pham Cong Danh, former chairman of Vietnam Construction Bank, via a real estate firm without properly securing collateral in 2012. The Ho Chi Minh City-based company later defaulted on the loan. 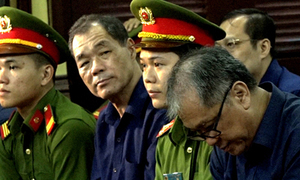 Danh was sentenced to 14 years in jail. 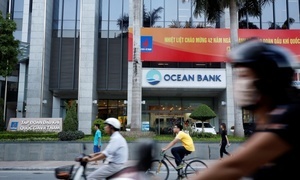 Tham and other executives also offered deposit rates above those set by the central bank to many customers including PetroVietnam between 2010 and 2014, causing losses of nearly VND1.6 trillion ($70.4 million). According to the indictment, more than 50,000 individuals and nearly 400 organizations and businesses received preferential payments from the bank, including many state-owned units. However, only 19 businesses have admitted to having received a combined VND3 billion, while 124 have denied taking any money and the rest have remained silent. Nguyen Xuan Son, former chairman at the oil and gas group, was sentenced to death for appropriating VND246 billion ($13.6 million) from the bank. Both Son and Danh have filed appeals. Other defendants were sentenced to up to 22 years in jail although many bankers argued that they had not caused losses to the bank and the excessive deposit interest rates were actually a business strategy that had proved profitable. 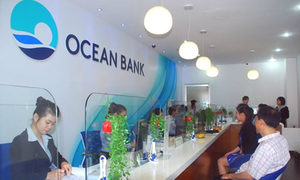 At least three PetroVietnam units were put under investigation last month for colluding with OceanBank execs to appropriate $5.2 million. PetroVietnam and the banking sector are at the center of Vietnam’s sweeping corruption crackdown that has ensnared scores of high-ranking officials, including Dinh La Thang, a former member of the Communist Party’s decision-making Politburo who headed PetroVietnam from 2005 to 2011.